I am very excited about this. I have teamed up for an event with head designer of Scalamandre for November and December. Here is the first of many photos to follow combining my artwork with Scalamndre’s Wall coverings, fabrics, furniture and home decor. So cool! 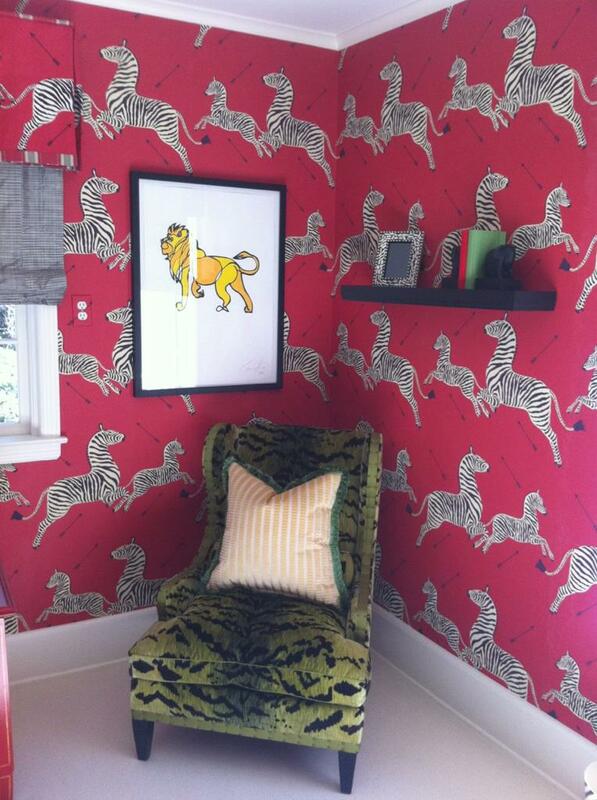 You can see The Lion (30 x 20 hand painted on Arches Paper) edition on paper hanging in this picture, he looks right at home amongst Scalamandre’s 2011 lead design of the zebra.